Jean-Karl Vernay carried out a flawless performance at Navarra by dominating the 5th leg of the French Porsche Matmut Carrera Cup. With the best lap time at both of the free practices, owner of both pole positions, followed by a pair of one-man shows during each race, the Sébastien Loeb Racing driver simultaneously seizes the championship front position. Now, one must wait in anticipation until the 27th and the 28th of next October to witness the final showdown, at Paul Ricard HTTT. The battle of the title will be between Jean-Karl Vernay and Come Ledogar, with an 8-point gap in favour of the former. 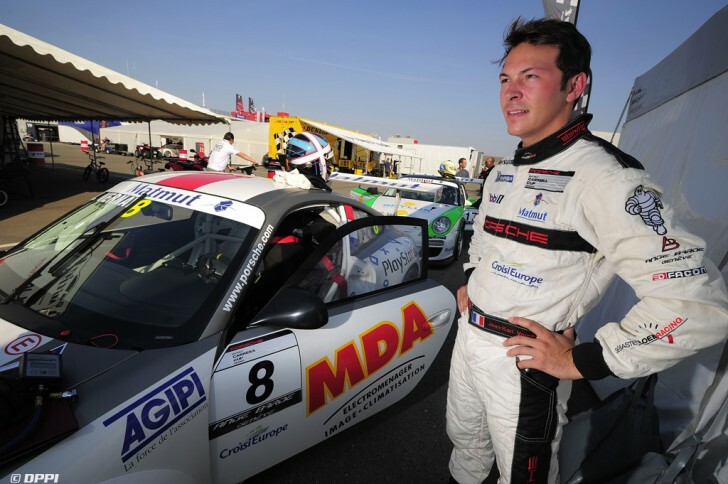 However, at Paul Ricard, the presence of the vice-champion of the Porsche Supercup, Kevin Estre, promises to stir up the competition. “Kevin is a good benchmark, my goal will be to beat him and to clinch a third championship title in three years!” Keep in mind that Jean-Karl was the Firestone Indy Lights champion in the USA in 2010 and that last year he shared the LMP2 championship title of the Intercontinental Le Mans Cup with the Signatech-Nissan team.